Has that comfortable, retro lounge you have had for years finally lost its lustre? Some furniture holds too many memories to be casually tossed on the scrap heap. Before you make the tough decision to throw away your favourite piece of furniture, take a look at our tips. Reupholstering chairs instead of replacing them is easier and more effective than you think! Upgrading old furniture with a fresh coat of paint or reupholstering chairs and lounges is a fantastic solution to keeping your home or office on trend at minimal expense. When you give an heirloom or vintage armchair a new lease of life, you’re adding a unique statement piece to any room while you save money on replacement furniture. Outside of your home, having an interesting office space is a great way to help customers remember your brand. Rather than just going for the stark office space like everyone else, think about adding a few feature pieces to add a bit a life! 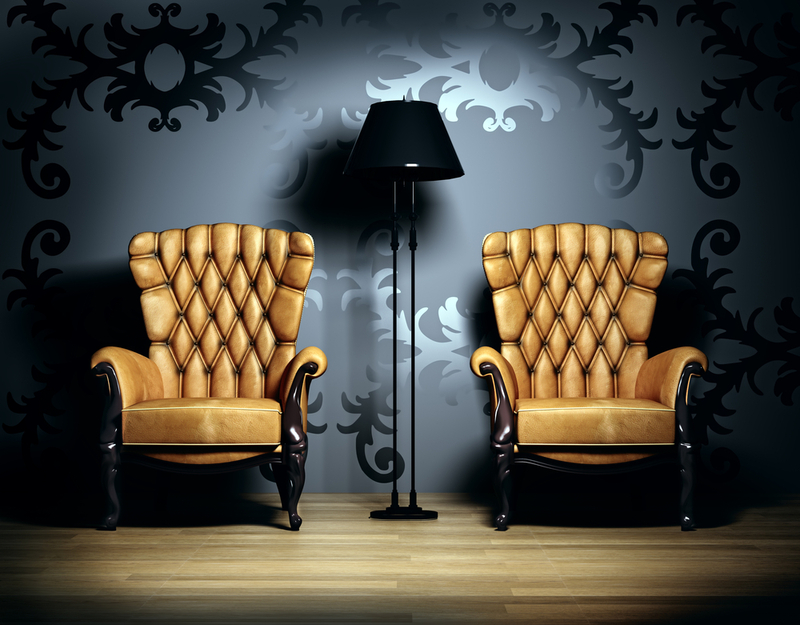 Take a good, objective look at the room where your chair or lounge will live. • What colours, patterns, textures of fabrics are going to hit the mark when it comes to blending or contrasting with flair? • If you like a minimalist look, avoid adding furniture with lots of intricate detail. Stick to simple patterns, sleek fabrics and straight lines. • If your existing room is homey and comfortable, then a simple leather, suede or plush fabric may be the perfect fit. You’ll also want to think about how the room and its furniture is used. Will this chair need to be sturdy and durable for regular use, or a statement piece in an area that’s more about style than function? When you want to bring vintage furniture right up to date, take a look at the colour palettes on show at furniture stores in your area. Do you want a pop of colour that’s following this year’s trends? Or something more classic that still brings new life to your favourite old chair? • Minimalism can be achieved with colour. Stark black, white or bold coloured furniture can be eye catching and unique without overwhelming the room’s other features. • If bright is your preference, it doesn’t always pay to be a slave to fashion. Yellow or orange chairs might be the star of the room this year, but radical colours also move on from trends faster than their neutral cousins. Bringing old pieces of furniture back to life with a modern twist is on trend right now. Think shabby chic, modern retro or the vintage looks that are popping up in chic cafes and stylish office spaces in cities around the world. Now is the perfect time to dust off your favourite pieces, or go treasure hunting for the perfect item to restore, and learn more about how reupholstering chairs can reinvigorate your home decor. Need advice on reupholstering chairs? Get in touch with the team from Lounge Repair Guys today.